This post was authored by ARTICLE 19 Executive Director Agnes Callamard. An earlier version of the text appeared on the ARTICLE 19 website. 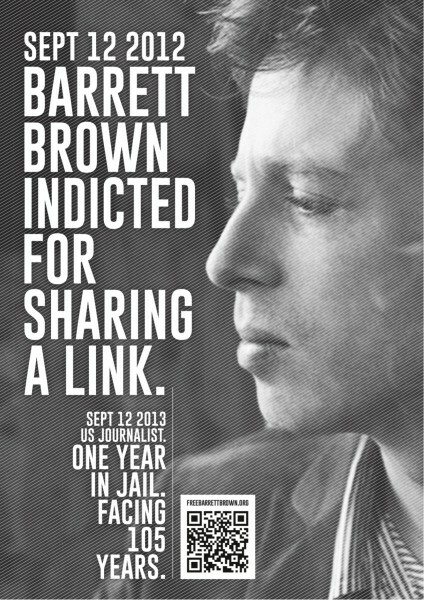 US journalist Barrett Brown is currently being prosecuted for doing something many of us do every day: posting a link on the Internet. If he is convicted, the right to share information online in the US could be seriously endangered. Brown is the founder of Project PM, a crowd-sourced think-tank which investigates the relationships between private security firms and the US government. Some of the charges against Brown relate to a hyperlink he posted on his Project PM chat room channel. The link led to a zip file containing information hacked from intelligence contractor Stratfor Global Intelligence. Although it is acknowledged that Brown himself did not participate in the hacking, because the zip file he posted included emails listing stolen credit card information, he has been charged with trafficking stolen authentication features, access device fraud, and aggravated identity theft. Brown has been in pre-trial federal detention since September 2012. Next year, Brown will stand trial on various charges that together carry a maximum sentence of 105 years in prison. The outcome could set a disturbing precedent for future cases of this nature. It is no exaggeration to say that the Internet itself is a series of hyperlinks. The use of links – references to other materials published online – is the mainstay of the Internet and a basic feature of online interaction and journalistic practice. 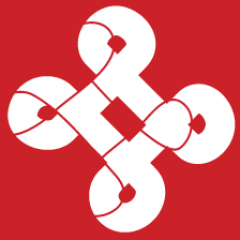 Linking is an essential part of the right to receive and impart information and ideas. This is a fundamental right that is protected under both international human rights law and the First Amendment of the US Constitution. Convicting Brown for posting this link could have a devastatingly chilling effect on free speech online and on investigative journalism. The importance of Brown’s case has already been demonstrated by the recent events involving Johns Hopkins University professor Matthew Green. Earlier this month, Green received a request to remove a blog post he'd written criticising the National Security Agency because it “linked to classified material”. The only classified material Green had linked to was information already available to the public in news reports published by the Guardian and the New York Times. This incident underlines the urgent need for the USA to explicitly protect the right to link in federal law. More broadly, It is a well-established principle that journalists should never be held liable for publishing and disseminating classified and leaked information, unless it has been obtained criminally (through fraud, for example). This protection is vital to ensuring the sustainability of investigative journalism. In this case, it has not been alleged that Brown was involved in the hacking; he merely posted a link to information which was available elsewhere. Linking to information that has already been published on the Internet should be strongly protected, especially when this activity is carried out for journalistic purposes. In addition to these charges against Brown, a district court judge in Dallas, Texas issued an order in September 2013 prohibiting Brown and his defence team from making extrajudicial statements about the case and from discussing it with the media. Advocacy groups including ARTICLE 19 and the Committee to Protect Journalists fear that this order signals yet again the US Government’s aggressive protection of national surveillance networks at the expense of the free speech and press freedom guaranteed under international law.